The “Magic Mirror” series tells of the adventures of brother and sister Marko and Miranda Lee, who one day found themselves living alone. Their parents went on a trip, leaving the kids with their grandfather, who likewise suddenly disappeared. Their grandfather, a historian and archaeologist, left behind a Magic Mirror and a string of mysteries that the kids must solve by going back in time. Tsai and Vittachi blend historical facts, people, and events from around Asia with fictional elements to form the backdrop for the Lee children’s adventures. When I read about the premise of the “Magic Mirror” series, I was very excited. I love history, I love adventure, and this being focused on Asian history with Asian characters is a plus. It all sounds like the perfect formula for a fun new children’s series! 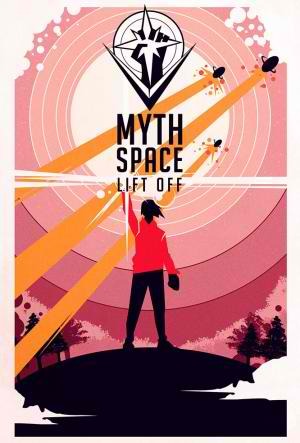 On a personal note, it also reminded me of a wee story my high school classmate and I concocted for a (believe it or not) Biology class project, so I am rooting for this to be great. The verdict: Great idea! The execution? Not so much. Being home alone has sparked numerous children’s adventures. I have no problem with this as a plot driver most of the time, but in this case, being home alone is just a given, and it baffles me. It’s just weird because of how tight-knit most Asian communities and families are, and yet weeks seem to have passed by and the Lee kids are still home alone. There was some mention of a housekeeper dropping in on certain days, but I can’t even tell how the kids manage to pay her or where they get the money for their necessities. Heck, even the Cahills in “The 39 Clues” had an au-pair and a dozen other relatives looking out for them. Also, shame on the teacher who already suspected they were living alone but didn’t even bother to investigate further. This series is obviously written for younger children, so I don’t mind that the writing style is simple or that the books are only 100 pages or so on average. But simple writing to cater to a young audience doesn’t mean that details should be sparse. I can’t even picture Miranda and Marko and what they look like in my head. I know Miranda is twelve and Marko is ten, and that they were adopted by an American man married to a Chinese woman. There’s no info on whether Miranda and Marko were real siblings to begin with, or if they come from different biological families. There’s also not much to go on with Mira and Marko personality-wise; they are rather wooden, kind of like chess-pieces that are just used to move the story from one plot point to another. I think one of the reasons why “The 39 Clues” worked well is because the characters are fleshed out, and readers discover new things about them as the series progresses. After 3 books of “Magic Mirror”, I don’t know any more about Miranda and Marko than when I started reading. I hope this changes when the rest of the series comes out. This lack of detail also extends to the time-travel adventures themselves. We don’t get much time to appreciate the time period that we are reading about or the characters there because the writers seem hell-bent on plowing through plot point after plot point. A fast-paced adventure is all well and good, but sometimes we also have to stop and smell the roses. The historical focal points for the first 2 books were a bit lackluster: the first book dealt with a Chinese admiral and some pirates, and the second had something to do with Marco Polo. Sounds exciting, yes? Unfortunately, nothing much really happens in the story. For the first book, in particular, much of the plot and exposition is static. The third choice was brilliant, though: Emperor Qin Shin Huang and his famous tomb. The third book is the best one so far, and the more exciting one. But it still suffered from lengthy expositions on history often spouted out by a helpful character. It’s nice that this series is also educational, but there is probably a more creative and less tedious way of explaining the historical background. Considering the structure of the stories, the longer expositions probably don’t belong in the narrative anyway. The authors also include end notes, so there is no need to get too lecture-y in-story. Oh, speaking of history, there is the matter of Grandpa. He represents the “Call To Adventure” in Mira and Marko’s journey, but he has his own mysterious journey, which seems to involve meddling with history. This is the most interesting aspect of the series for me (it’s telling that I gravitated more toward the character who hasn’t even appeared “on-screen”), and I do hope that we get a good reveal and explanation in the end. In general, I think that the authors have managed to achieve what they were going for: telling good adventure stories highlighting Asia and its rich history. I had too many things to complain about, but that’s only because this series has so much potential that I wanted it to work well. We need more books like this for kids in the international market. But right now, this series is a bit unpolished and under-edited. I hope the future installments will be better; the improvement from Book 1 to Book 3 is already encouraging. I got to meet the very lovely and bubbly New York Times Bestselling Author slash Hug Machine Stephanie Perkins a couple of weeks ago during the National Book Store-sponsored signing events here in the country. Like many of the authors who visited before her, Stephanie seemed surprised but very happy to see how many readers and fans she has here. That rock star reception in two cities is definite proof that many people love her books. What’s so memorable about Stephanie is how she talks to each and every person in line, even if it’s just to ask how they are doing if they are too shy to talk first, or to compliment someone, or to answer a question. And the HUGS! There’s just something about Stephanie that makes you want to hug her. I wasn’t planning to, but after we took a photo, I just had the sudden urge to. I’m not sure how many people she hugged that day in the Manila signing because there were more than 600 people in line. But HUGS for everyone! To all of the writers out there, the number one piece of advice I have for you is to learn how to read like a writer. And what I mean is that when you’re reading a book, take it a little bit slower and be a little more conscious and self-aware. When you’re reading something and you have a reaction— it doesn’t matter what the reaction is. If it’s something funny, or makes you swoon, or scares you, or makes you angry, stop and go back and see how the author made that happen. Good books and bad books can be equally effective. When you’re reading and you go, ugh, terrible! Stop and think why and what you’re not enjoying about it. I always tell my readers who want to be authors that the people I read in school growing up–like Jane Austen and Charles Dickens–they didn’t take writing classes. They learned how to write by reading. I encourage you to keep reading, keep reading, keep reading. “About to turn 34, there are a couple of threads of silver in the famous Auror’s black hair, but he continues to wear the distinctive round glasses that some might say are better suited to a style-deficient twelve-year-old. The famous lightning scar has company: Potter is sporting a nasty cut over his right cheekbone. Requests for information as to its provenance merely produced the usual response from the Ministry of Magic: ‘We do not comment on the top secret work of the Auror department, as we have told you no less than 514 times, Ms. Skeeter.’ So what are they hiding? Is the Chosen One embroiled in fresh mysteries that will one day explode upon us all, plunging us into a new age of terror and mayhem? The results of the 2014 Scholastic Asian Book Award were announced during the Awards Presentation Ceremony on 30 May 2014, in conjunction with the launch of the 2014 Asian Festival of Children’s Content at the Singapore National Library Building. The award was presented by Mr. Lawrence Wong, Singapore’s Minister of Culture, Community and Youth. Entries received were judged by an international panel of literary experts and renowned authors which was led by Sayoni Basu (India) as head judge, and comprised of Ken Spillman (Australia), Marjorie Coughlan (Canada), Sarah Odedina (United Kingdom), Wanitcha Sumanat (Thailand). “We [the judges] were pleasantly surprised with the high quality in the manuscripts submitted this year, which demonstrated greater depth and diversity in their stories, and more sophistication in writing craft as compared to previous years. The universality of the themes will enable all children in Asia and across the world to identify with the stories”, said Sayoni Basu. “Asia is so rich and diverse in its history and culture; there are so many experiences and stories to tell. However, most of these stories are passed on by word-of-mouth, very little is published and distributed globally. I grew up surrounded by books, but there were mainly stories of western children, of their family and friends, and of their adventures in their neck of the woods. Asian children deserves to have a rich legacy of stories that celebrates their Asian heritage and their coming-of-age experiences. The Scholastic Asian Book Award is one of our long-term projects to support development of Asia children literary landscape and we are so pleased to find a partner in NBDCS who also champions the same cause,” said Selina Lee, Director of Scholastic in Asia. Scholastic Inc. is the world’s largest publisher and distributor of children’s books and a leader in educational technology and children’s media. For over 90 years, Scholastic has been providing quality educational and entertaining materials and products for use in school and at home, including children’s books, classroom and parenting magazines, technology-based products, teacher materials, television programming, film, videos and toys. The National Book Development Council of Singapore is a non-profit charitable institution founded in 1969. The Book Council’s objective is to establish and develop Singapore as the Asian centre for publishing and literary arts. If you missed Becca Fitzpatrick’s book signings here in the Philippines, here’s your chance to win a signed paperback copy of “Hush Hush”. MECHANICS: To join, just go to the Rafflecopter page for this giveaway and follow the instructions there. REMINDER: When you comment here, please don’t forget to answer the contest question: If a fallen angel who fell in love with you could look like anyone (an actual person you know or a celebrity), who would your angel look like? Your points for this entry in Rafflecopter will be rendered invalid if you don’t post a comment. The contest is open only to residents of the Philippines. If you are not a resident but know someone with a Philippine mailing address who is willing to mail you the prize if you win, then you are welcome to join the contest. Contest ends 8 June 2014.. Spread the word, and May the Odds Be Ever In Your Favor! The “Don’t Forget The Soap” promo blog tour makes its second stop here at The Girl Who Read and Other Stories with a guest post (the very first that I’m hosting) by the author herself! Marie Claire Lim Moore is now raising her kids in an environment similar to where she was raised–surrounded by various cultures. In this guest post, she talks about the advantages of raising her kids in a multicultural environment and the challenges she encounters as a mother. The advantages of raising kids in a multicultural environment are endless. Children gain exposure to a diverse set of cultures and values that reflect a microcosm of the world, which often leads to unique opportunities. My brother and I were fortunate to have had this kind of upbringing and to this day I’m so grateful for these enriching experiences. That being said, there are also challenges for parents when they set out to provide a multicultural environment for their kids. It is far simpler to bring up children in a setting where everyone has the same culture and values that you do. The “no sleepovers” rule is easier to maintain in an environment where slumber parties are few and far between. When I was growing up in New York City and it was the cultural norm for kids to date and have boyfriends and girlfriends in their early teens I know my parents sometimes wished they were back in the Philippines where they recalled only group outings at this age were socially acceptable. I also caught them wincing on occasions upon hear stories about grandparents being put in nursing homes not because they were sick with special care needs but because their children didn’t want them living with them. My parents somehow managed to embraced new cultures and opportunities while maintaining traditional Filipino values at home. It took a lot of conscious effort on their part to make sure they continued to be the biggest influence in our lives. This was done through continuous open discussions, sitting down together for dinner every night, and regular family bonding — many times over karaoke or mahjong! 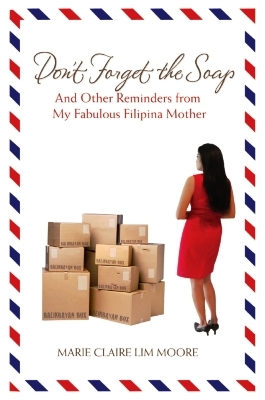 Don’t Forget the Soap (And Other Reminders From My Fabulous Filipina Mother) is a collection of anecdotes: stories from the tight-knit Filipino community in Vancouver mix with memories of her move to New York, experiences at Yale and travels as a young executive. Underlying this narrative is the story of a global citizen who does not want to forget the fundamental values that come along with the “immigrant experience” as she and her husband raise their children in the increasingly glitzy expat bubble of Singapore. Her parents continue to remain a big influence in her life and her mother’s reminders a grounding force. Share this inspiring book with the awesome women in your life! The book is available online via Amazon and Barnes and Noble. You can also pick up a copy at Fully Booked (Php650). If you are in Singapore, copies are available at MPH and Kinokuniya (SGD 18.60). Read my review of “Don’t Forget the Soap” here.
.@britneyb32 Um so where's Percy? http://t.co/uKtS8csCRc /It's like a 'Where's Waldo' cover. Keeping staring at it for the next 5 months. Such a meanie. We love you too, Rick. Celebrate Mother’s Day with “Don’t Forget The Soap” by Marie Claire Lim Moore +Giveaway! And now it’s time for a GIVEAWAY! Just click on the image below to join. Read my review of Don’t Forget the Soap here.